The Diamond 2-seater lounge sofa is, like the other products in our Diamond series. They have managed to create an exciting look with a contemporary, yet luxurious, innovative edge. The lounge sofa comes with Cane-line Natté cushions. You are not able to leave the cushions outside all year round, but you can leave the frame outside all year round. Cane-line is a Danish design company with 30 years of experience in designing and manufacturing functional and comfortable furniture. Life made comfortable is the very essence of Cane-line. All over the world our mission is the same – to make life comfortable and add value to life and the places where you unwind and relax. 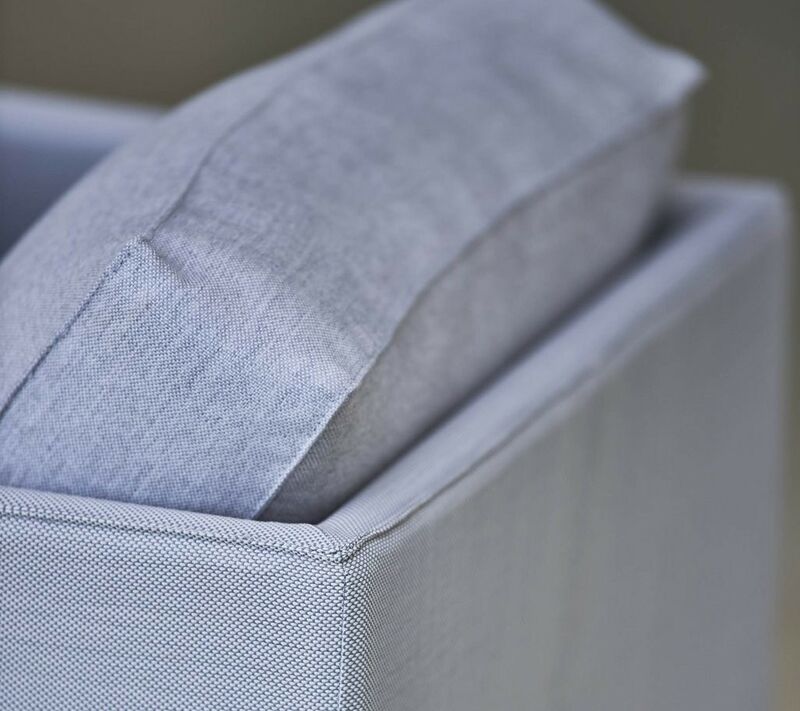 We are constantly focusing on quality, innovative technologies and comfort in both products and life to ensure that our furniture is made with the greatest care for the environment and the well being of people. 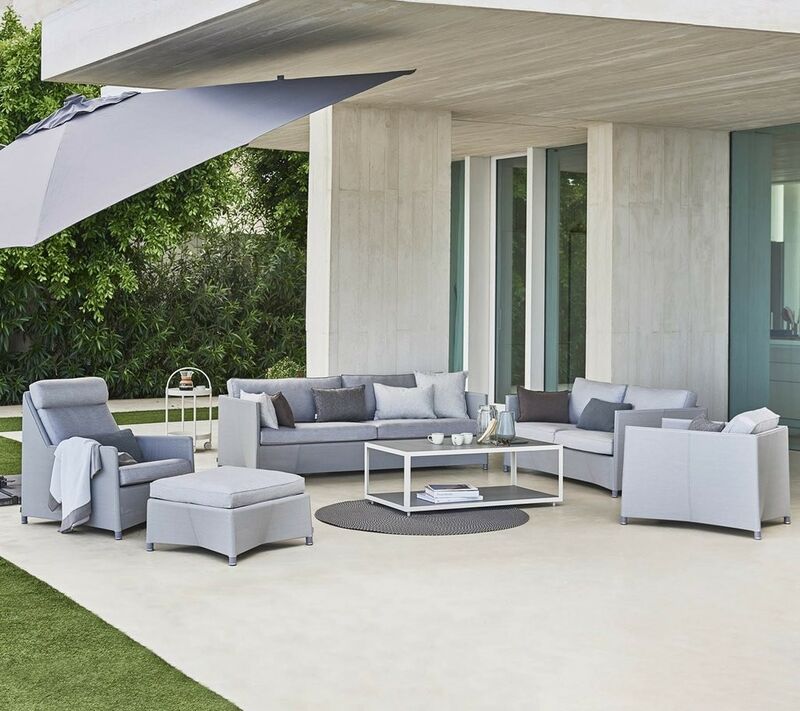 Cane-line outdoor collection is designed and manufactured with the purpose to have a comfortable outdoor living lifestyle. 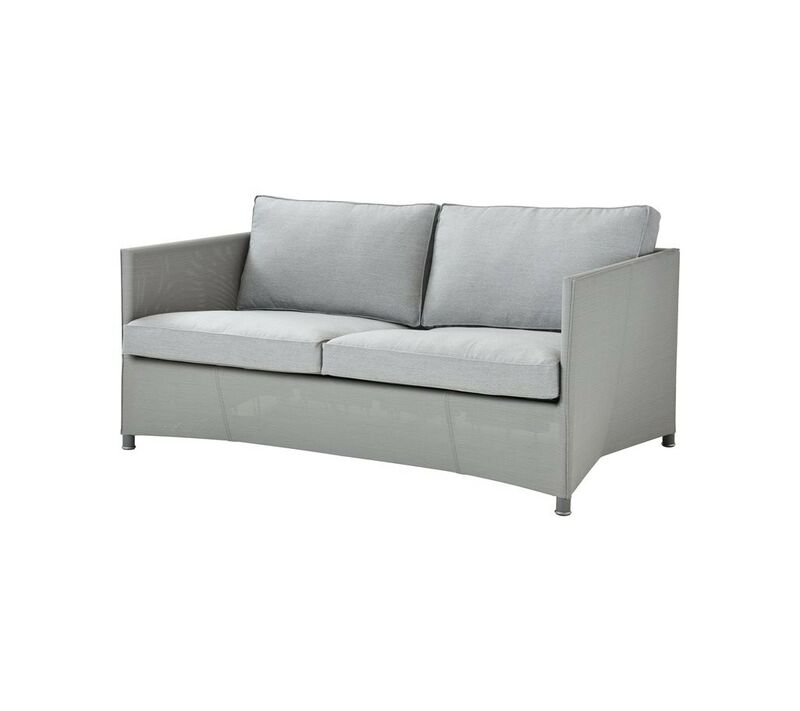 The all-weather furniture offer maximum comfort and minimal maintenance. Cane-line indoor collection is the essence of light simplicity. A vibrant and living collection of designs based on functional, timeless and socially responsible principles. Cane-line Elements is a multi-functional collection of products for indoor and outdoor with maximum flexibility.